Environmental groups have welcomed the State Government’s decision to introduce a Container Deposit Scheme (cash for containers) in Queensland, describing it as a great leap forward for litter reduction, recycling, environmental protection and a vital financial boost for community organisations interested in can and bottle collection. ‘Cash for containers is a proven scheme and will slash litter rates, increase recycling across the state, create hundreds of jobs in collection and re-processing and provide a financial boost to community organisations interested in collecting can and bottles.’ said Toby Hutcheon, spokesperson for the Boomerang Alliance and Wildlife Queensland. After 26 years of solid work by hundreds of thousands of Queenslanders involved in Clean Up Australia events, we welcome the Government’s leadership in acting to stop containers; which represent nearly a quarter of all rubbish reported, being discarded in the first place,’ said Ian Kiernan AO, Chairman and founder of Clean Up Australia. 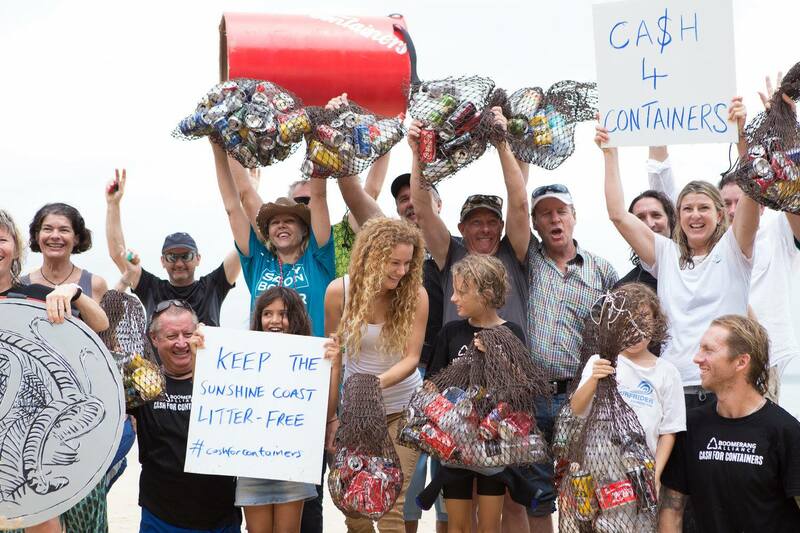 ‘The introduction of a container deposit scheme will be an important first step in tackling the huge problem of plastic pollution in Queensland.’ said Samantha Wockner, Campaigner from Greenpeace Australia Pacific. With NSW set to introduce a cash for containers scheme in 2017, this decision means that NSW and QLD can cooperate and address container litter once and for all. We hope this joint action will encourage other states such as Victoria and WA to follow suit. ‘With recent Queensland polls showing 85% support for cash for containers and 73% concern about plastics in the environment, we call on all sectors of Queensland society to get involved with this proven and effective measure.’ said Jo Stoyel of Plastic Bag Free Livingstone.